Here are the primary pedigree charts for the Burgraff and Walker lines. 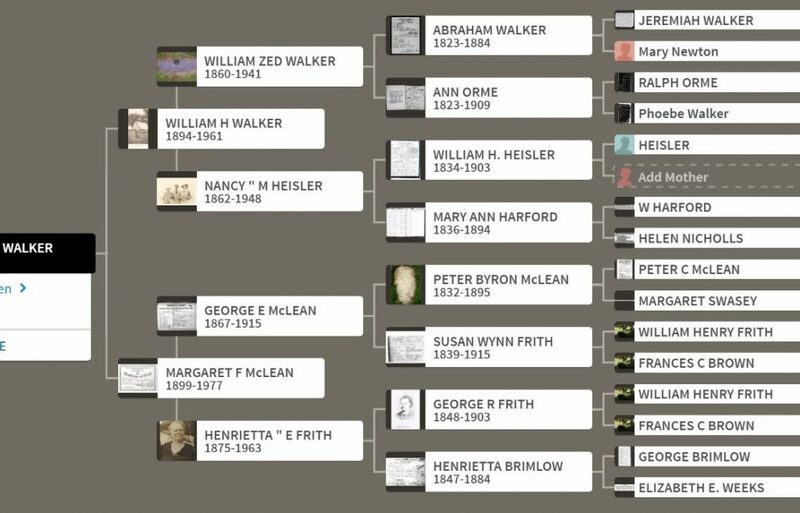 Below these images are links to PDF files containing a 6 generation pedigree for Arie Isaac (Ike) Burgraff, Dorothy Josephine Johnson, William Harry Walker, and Margaret Frith MacLean, as well as links to the blog posts for those family lines. The posts about the families are fully documented and sourced. 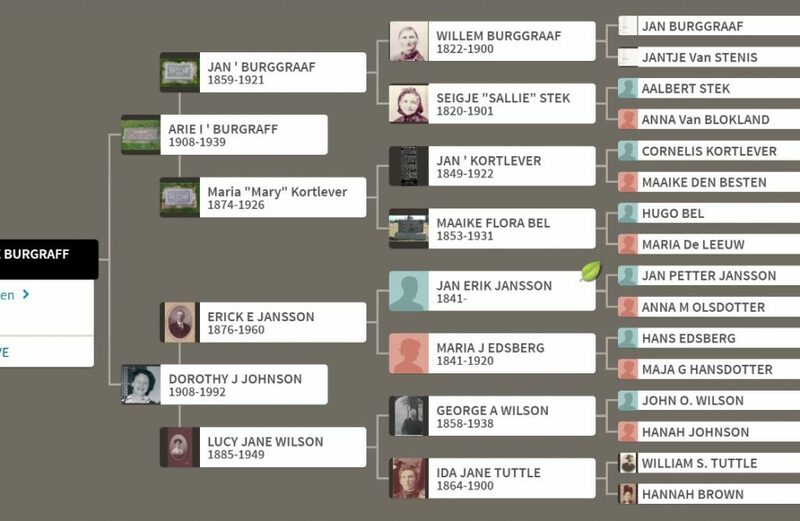 All the information documented is also available on BurgraffScott family tree on Ancestry.com and much of it has been added to FamilySearch.org and to Find A Grave. If you find an error, please contact me either through the link at the bottom of the page. Arie Isaac Burgraff To see posts about this family, click HERE. Dorothy Josephine Johnson To see posts about this family, click HERE. William Harry Walker To see posts about this family, click HERE. Margaret Frith MacLean To see posts about this family, click HERE.